Aruba is a self-governed Dutch Caribbean island with very little unemployment, poverty or violent crime. Almost everyone speaks English and the signs, menus, phone books, etc. are all in English. Direct flights to a modern airport are available from New York and Miami, among other places. Aruba has a very modern, fully-equipped hospital, a modern phone system for your fax and modem, the Robert Trent Jones II golf course less than 1/2 mile from our house, and you can drink the water. 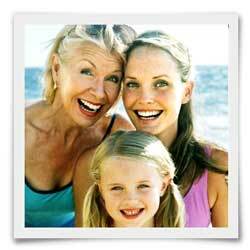 The major industry is tourism and the local Arawak Indian and Dutch population is very friendly and helpful. Aruba has quite an extensive history. Its first inhabitants were the Caquetios Indians from the Arawak tribe. There are ancient painted symbols still visible in limestone caves from Indian settlements that date back to about 1000 A.D. Five centuries later, Spanish explorer Alonso de Ojeda arrived in about 1499. The Spanish exported many Indians to Santo Domingo, where they were put to work in the copper mines. Ownership of the island changed hands several times after that. In 1636, the Dutch took possession and remained in control for nearly two centuries. In 1805, during the Napoleonic Wars, the English briefly took control over the island, but it was returned to Dutch control in 1816. Aruba is located in the southern Caribbean, 15 miles (20 kilometers) off the coast of Venezuela. It is 19.6 miles (30 kilometers) long and 6 miles (9 kilometers) across, at its widest point, with an area of approximately 70 square miles (184 square kilometers). Aruba's population is about 100,000 and it is made up of over 40 different nationalities. The time zone is Atlantic Standard Time which is one hour ahead of EST (the eastern coast of the United States) except during Daylight Savings when the time is the same as EST. Because Aruba is located 12 degrees from the equator and is a desert island, the weather is always perfect (that is, if you like year-round 82 to 86 degree temperatures, bright sunny skies, refreshing trade winds and crystal clear 82 degree, calm, turquoise Caribbean water every day of the year). Aruba is so far outside the hurricane belt, storms are almost unheard of. 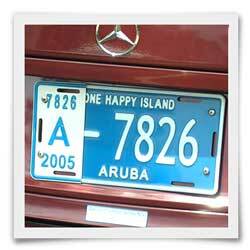 The license plates tell the whole story: "Aruba - One Happy Island."